WHAT: What materials make up a dancer’s life? In the eyes of the public a dancer’s career may seem like a sprint, but in fact it is a marathon of challenges, beginning with training at a young age and coming to a close with the final bow. As a career wanes, every dancer is called upon to refute the obvious: the body, exhausted by the constant technical demands, has to resist decline and continue to shine before the triumphant exit. 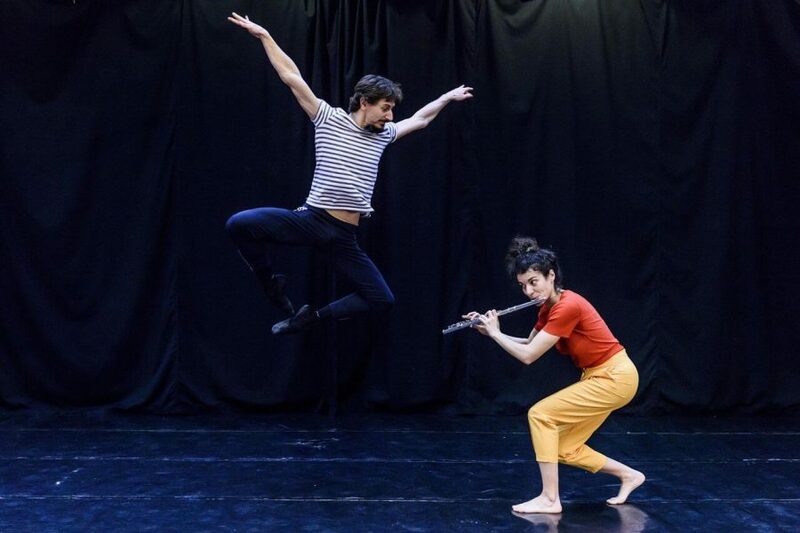 Classically trained dancer Ioannis Mandafounis, who has performed with internationally recognized modern dance troupes, returns in this work to his “first love,” ballet, paying it a final tribute by dancing some of its most challenging male solos (“variations”) one after the other. The piece plays with the overblown sentimentality of the farewells of the “étoiles,” the great ballet stars, while also retaining its own sentimentality, as well as humor. His accomplice on stage, talented actress Antigone Frida, accompanies him not only musically, but also emotionally, engaging with him/us in a dialogue rather danced than spoken about the flight of youth and the love of dance.